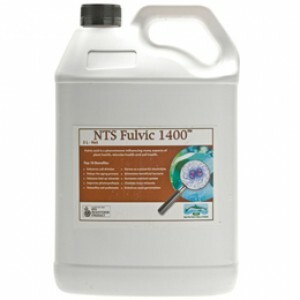 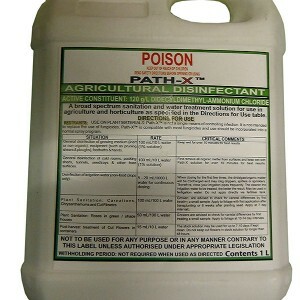 A liquid food formula to ensure rapid and ongoing multiplication of beneficial microbes during brewing. 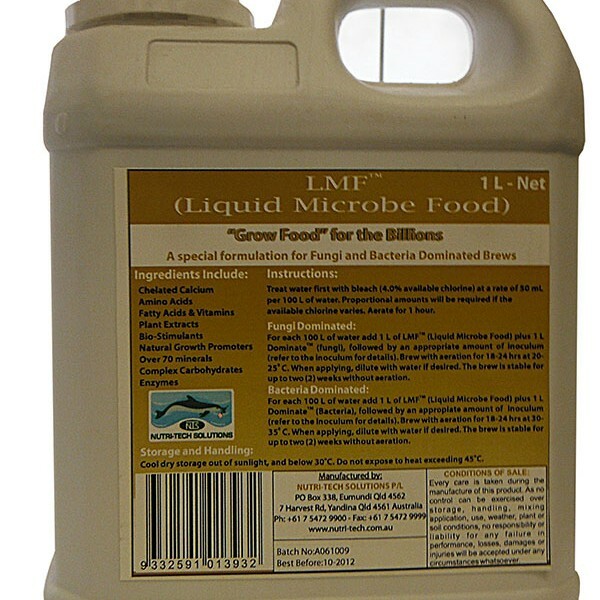 One key to successful compost tea brewing is the supply of a food source capable of feeding and fostering thousands of different microbe species. 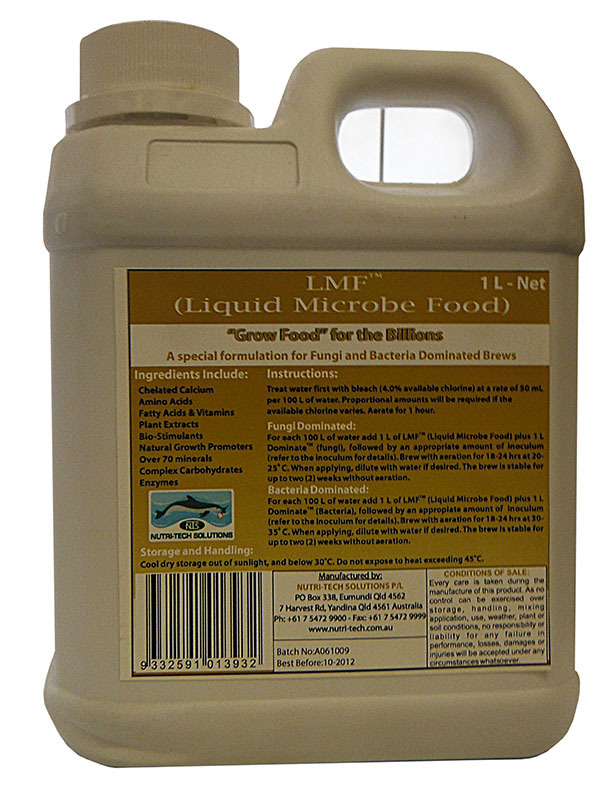 LMF (Liquid Microbe Food) contains the essential ingredients, which have proven to deliver suitable promotion to maintain this all-important diversity during the multiplication process without the hassles associated with insolubility.